Founded with a passion for Cycling, we believe that Bicycles can help change the world. Velofix was founded in 2012 in Vancouver, BC, with a goal to give people more time to do what they love, RIDE! 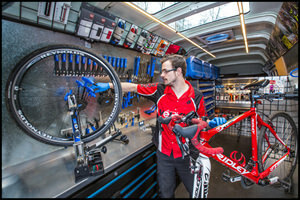 Velofix is a Mobile Bike ProShop in a 24-foot Mercedes Sprinter Van. We provide a premium service offering for all types of bikes: Road, Mountain, & Commuter. Our proprietary back end system Velonet handles all business requirements including booking/scheduling, just in time inventory management, customer relations management and payment processing to provide a premium service to all our clients. Our Certified Mechanics use only the best tools and parts available in the industry. 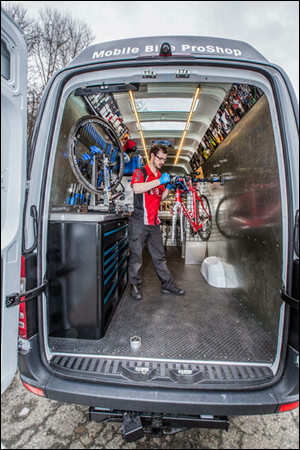 Velofix is committed to providing the best and most convenient service in the cycling industry. We will achieve this by establishing loyalty and long term relationships with both our clients and suppliers. We will focus on customer service, technology & innovation to allow us to deliver premium service at competitive pricing. To provide our clients with the most efficient and professional bike service experience in the world. Our premium level of service will allow our clients to Save Time. Ride More. Are We The Right Business For You? At Velofix, we seek to partner with like-minded people who have a strong desire to drive change in the cycling industry. Commitment to being hands on in the business. Thrive in a relationship driven business. Work in a physically demanding environment. Be active in your success & failures. Get involved with your local cycling community. Velofix franchise owners will be given the tools & training necessary to facilitate a successful operation of the business. 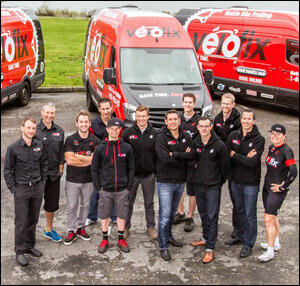 Dedication & commitment to the fundamental philosophies & best practices of the Velofix brand will be essential to the operation of a Velofix franchise day-today. 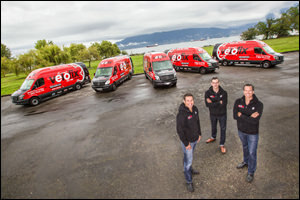 A Velofix franchise owner will deliver premium service & be consistent in offering the best possible customer service daily. Velofix is currently accepting inquiries from the following states: Washington, Utah, Texas, Oregon, Nevada, Colorado, California, Arizona.